The following article was originally published on Forbes on 28 November 2018 and is one of a series about climate change-focused investing opportunities in general and about investment opportunities in AgTech in particular. The only way to build and maintain inter-generational wealth in the 21st Century will be by investing in a new paradigm. Imagine that you need to break a $10 bill. You hand the cashier the $10 note and, rather than a $5 bill and five $1 bills, he hands back a single $1 bill. Certainly, you would be upset. And if you couldn’t extract another $9 from the cashier on that occasion, chances are next to nil that you would ever try to get that shop to make change for you again. Believe it or not, this transaction — where a consumer offers 10 units and receives only one unit in return — happens literally every second of the day in developed countries. It is not dollars we are exchanging, though, it is calories. According to a research paper published in 2009, it takes 10 calories of petroleum-based energy to create a single consumable food calorie. The reason for the imbalance is twofold: production methods and distribution networks. Regarding production methods, the synthetic fertilizers used in crop production are manufactured through the Haber-Bosch process, which relies upon a petroleum resource — natural gas — as a primary input. Natural gas is needed to manufacture the ammonia that forms a crucial building block for synthetic fertilizers. Grains are used to feed meat animals, so in a real sense, we are feeding natural gas to our chickens, hogs, and cattle as well. Energy is also used in the irrigation, sowing, and reaping processes. Altogether, scientists estimate that it takes a little over eight calories of petroleum-based energy to “manufacture” one food calorie. The remaining two or so energy calories necessary for us to consume a single food calorie come in the transportation process. I live in Chicago and can drive to my local supermarket to buy a tomato any time of the year — even during the dead of winter. Those winter tomatoes must be shipped in from somewhere! This photo was taken by author during a blizzard in the Northwest Suburbs of Chicago, IL. 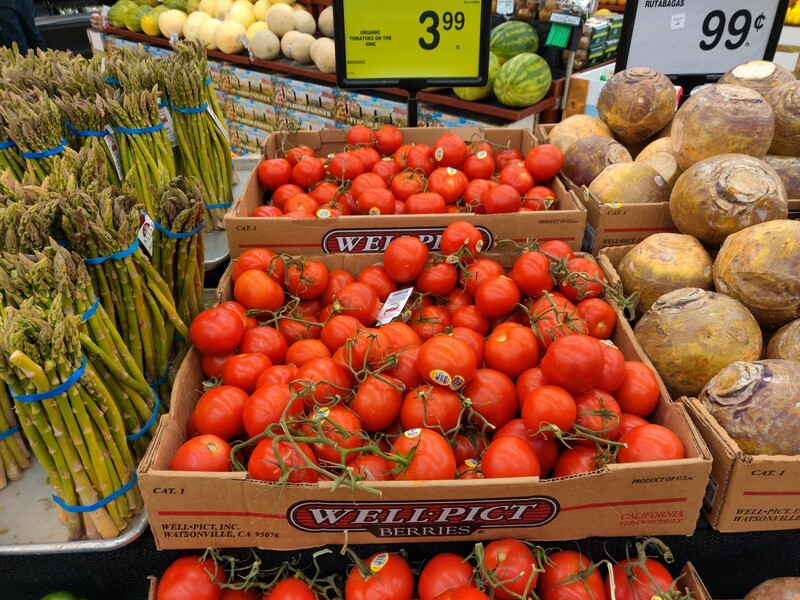 Watsonville, CA, where these tomatoes were farmed, is over 2,200 miles from the author’s grocery store. As an investor, if you showed me a company whose revenue increases were tied to gradual population rise but which was paying $10 in costs to produce a profit of $1, I would show you the best short idea in the world! Believe it or not, this is the equation on which our modern system of agriculture is based. AgTech — an industry about which I have written before — is focused on changing this upside-down energy cost equation and rationalizing the process of producing food. It is hard for me to imagine a better area in which to invest. While my previous AgTech article highlighted mainly American firms, the best example of the advances in this industry is not to be found in the US — the leading agricultural exporter globally — but in the Netherlands — the second largest. According to this article in National Geographic (which contains some striking photographs and videos of Dutch farms), the Netherlands boasts only 1/270th the land mass of the U.S. located at roughly the same latitude as Saskatchewan, Canada, but exports a comparable amount of food. One potato farmer highlighted in the Nat Geo article has reduced his water use by 90% but generates crop yields more than twice as high as the global average; his results are not atypical of the Dutch industry at large. Chemical pesticide use has dropped to nearly nothing and livestock antibiotic use has dropped by around 60%. Fertilizer use is higher than that in the US per hectare of cultivated crop, but because Dutch farms produce so much more per hectare than American ones, the fertilizer use per food item is much lower. 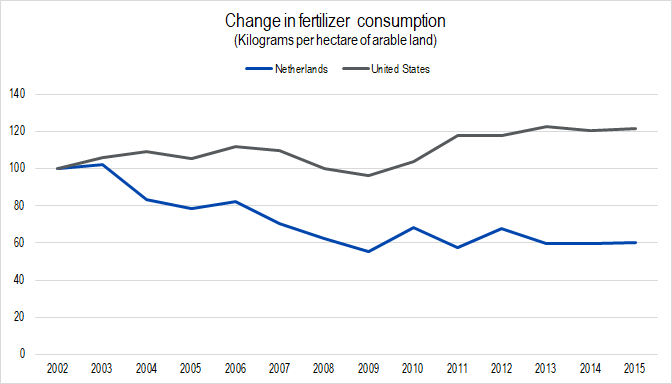 In addition, fertilizer use in the Netherlands has been falling since 2002, rather than rising, as in the US. These incredible efficiency improvements have come about because the Dutch government set clear policy objectives, supported by tax and development incentives, then let the free market do what it does best — develop innovative solutions. These policies have allowed the Netherlands to move beyond the technology paradigms of the last two centuries and create intellectual property and jobs suited for the present one. While Dutch farms have already embraced a new paradigm and are moving forward to take the innovations even further, opportunities exist now in the United States as well. Over the past several weeks, I have been talking to the founders of several innovative AgTech start-ups focused on the local production and packaging of greens and vegetables. Smart money is pouring into these types of businesses — in 2017, Plenty, a high-efficiency, IoT-enabled vertical farming start-up received a $200 million round B investment from the Softbank Vision Fund and an investment vehicle for Jeff Bezos’s billions. If you think back to Whole Foods Markets in the early 1980s, it qualified as a niche business. Thanks to the vision of its founders and its niche status, it sported nearly a 40-year run with huge revenue growth rates and profit margins 10 times higher than that of other grocery chains. 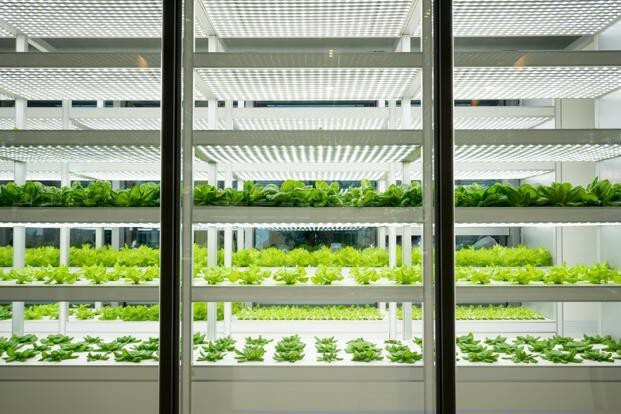 I believe vertical farming firms will experience a trajectory similar to the organic food market, though probably the uptake will be much more rapid. Elimination of pesticide use, reduction of water wastage, greater efficiency of fertilizer use, much greater food safety and traceability, and hugely decreased petroleum product usage in transportation are all features of vertical farming that will be good for the environment and the society. The fact that vertical farms’ cost structures mean that, for at least a few years, they will be wildly more profitable than conventional farms will be good for intelligent investors. No wonder the smart money is pouring in. Founder of IOI Capital. Passionate about harnessing the power of the free market to solve humanity’s biggest adaptation challenge.